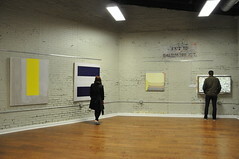 The Cedar Works is a 15,000 square foot reclaimed warehouse, located in the Cedar Park neighborhood of West Philadelphia, that has been renovated into a community-oriented work and meeting space. 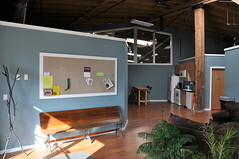 The Cedar Works is home to 22 artist workspaces and professional offices. 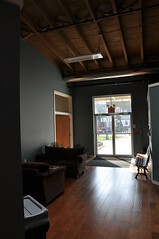 The community meeting space is a multi-use room fitted to host meetings, trainings, and workshops. Tenant Applications are accepted on a rolling basis. Walk-throughs are available by appointment. See contact information to schedule an appointment.